We invite you to look for a supplier whose Size is the right fit for your company, that offers Reliability, Speed and great Service. Finding the right partner relationship is key to successful implementation. When selecting a partner to help you with a departmental or company-wide document solution, check that they understand integration with your other systems, and whether they can enhance your workflow and help you meet your industry’s regulatory compliance. Document Logistix was one of the first software solution developers and vendors in the digital, or electronic, document management ‘space’. The company has had a dedicated research and development (R&D) team at the core of its operation throughout its twenty year history. Innovation based on a customer- and market-focused roadmap is a hallmark of Document Logistix’ growth and success. Document Logistix’ customer base has grown throughout the UK and in the US, as well as through specialist global partners who appreciate the Document Logistix difference in terms of both product advantages and knowledgeable technical support. Document Logistix provides out-of-the-box SME and enterprise solutions to customers working in every type of industry, each with its own challenges and KPIs. Document Logistix also supplies document management solutions to many public sector and not-for-profit organisations in government, education and healthcare, where the objective is always to squeeze the most value from fixed budgets. Document Logistix case studies demonstrate the company’s nimbleness, technical capability and ‘must do’ attitude when it comes to solving customers’ technical and business challenges. The positive impact of development and implementation have ranged from a multi-faceted HR on-boarding solution for a leading parts manufacturer, to an e-Discovery solution that enabled US District Attorney Offices to meet disclosure mandates. Cloud and SaaS are hot topics in the software arena. There can be many good reasons to go these routes; they often represent a cost-effective entry level to electronic document management. However, a functionality audit is the best way to determine which aspects of your business processes you want to host in the Cloud. Document Logistix provides you with a full range of deployment options: on-premise, Cloud and hybrid, together with a full range of purchase options. Document Logistix’ document and content management solutions are not welded to a cumbersome technology stack that means you have to buy more than you need. Document Logistix’ commercial terms are also geared to value pricing and negotiation to ensure customers get a measureable ROI. Account Managers are empowered to deal with each case on its merits and the deliverables required to achieve success for the customer. Licensing is one of the purchase components we can work on with you to make sure you pay only for what you really need: be it full user, read-only, concurrent licensing or a variation. At Document Logistix we consult with customers regularly to solicit feedback and to understand their emerging challenges. We have numerous examples of collaboration and dialogue leading to highly beneficial breakthroughs. 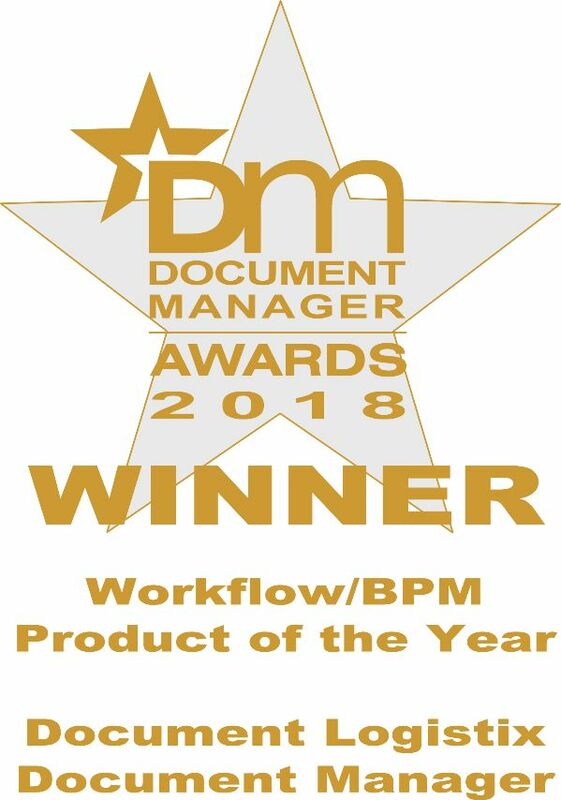 One Document Logistix innovation that stems from customer engagement and dialogue is the latest Document Manager Workflow Designer. The latest Workflow Designer is dynamic and affords organisations a realistic way to evaluate their business process in diagrammatic form – with capture, approvals, escalation points and release checkpoints – and then drag and drop into their management solution, and test, accept or roll-back as they wish. Document Logistix’ pioneering founders and highly knowledgeable Account Management teams tick all of the boxes. You are in the safe hands of people who have your best interests and the performance of your organisation uppermost in mind.